I am happy to report that, due to pressure against the move proposed by Penn State to consolidate first-year Dickinson School of Law students at the State College University Park campus, Penn State University now instead plans to pursue the alternative plan of entirely separate accreditations for the two-campus law school. 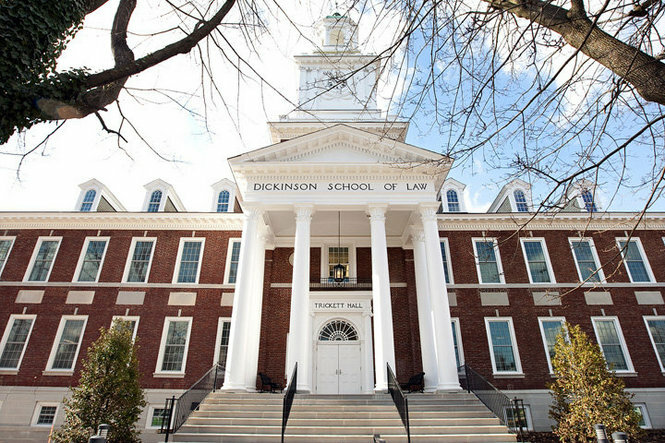 According to newspaper reports and an email from the dean, the dean of the Law School issued a statement stating that "The Dickinson School of Law will remain a single academic unit of Penn State, but each of our campuses will develop and implement separate identities, separate admissions policies, and separate educational programs, similar to Rutgers Law-Newark and Rutgers Law-Camden, or Arkansas Law-Fayetteville and Arkansas Law-Little Rock." According to other information disclosed by the dean, the transition would take place over the next several years, while approval from the American Bar Association of the separate accreditations is secured. Students would begin to receive separate degrees from either Penn State Dickinson in Carlisle or Penn State Dickinson in University Park after 2015. While I normally try to keep my own opinions out of Tort Talk I am compelled to note that I am glad to see that the consolidation plans did not go through if only for the thought that it may keep the Dickinson School of Law in Carlisle alive. I am proud to have graduated from what was the oldest independent law school in the nation before it became affiliated with Penn State. There is a lot of history with the Dickinson School of Law and that should be honored, preserved, and kept alive.